FUNGICURE Maximum Strength Liquid Gel helps relieve the associated discomforts of itching, scaling, cracking, redness and burning by eliminating the fungus and allowing for the natural re-growth of healthy looking tissue. Crystal clear, dries instantly with no mess. FUNGICURE Maximum Strength Liquid Gel is formulated to work promptly to inhibit the growth and reproduction of fungal cells on fingers and toes, including on skin around nail edges and under nail tips where the fungus can be reached by direct application with the precision FUNGICURE QuickBrush™ applicator. FUNGICURE's precision QuickBrush™ applicator allows for easy application right to the site of hard to reach infections, so fingers need never touch affected areas. FUNGICURE Maximum Strength Liquid Gel is crystal clear, dries fast and leaves no unsightly mess or unpleasant medicinal odor. FUNGICURE Maximum Strength Liquid Gel contains the active ingredient clotrimazole, recognized to be safe and effective by an FDA Expert Advisory Panel when used as directed. How long can I use FUNGICURE Liquid Gel? You can use FUNGICURE Liquid Gel for up to four weeks. If you don’t see improvement in that time, you should stop use and consult your doctor. If you are seeing improvement, you may continue to use Fungicure until your fungal infection resolves or clears. Can I get a refund? Do you have a money-back guarantee? 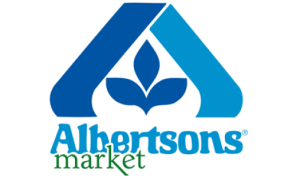 We do not advertise or represent any of our products with a “money-back guarantee.” We do, however, highly value each and every customer and strive for consumer satisfaction. If you are not completely satisfied with your purchase of Fungicure we can send you a Return Request Letter in order to assist you in obtaining a refund from the retailer where you purchased the product. 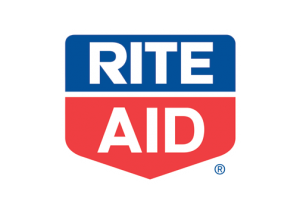 You would present the Refund Request Letter and product package with the remaining contents to the retailer. 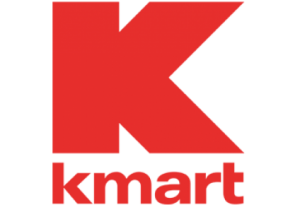 Please note that the retailer may require your register receipt or other proof of purchase to receive a refund. Can I apply FUNGICURE Liquid Gel over nail polish, or do I have to take the polish off? FUNGICURE Liquid Gel is highly effective on infected surfaces around, adjacent to and under nails where reachable with the QuickBrush Applicator. Because it is applied to the skin around the nail, it should not interfere with nail polish. What is the active ingredient in FUNGICURE Liquid Gel? FUNGICURE Liquid Gel contains Clotrimazole 1% w/w. What are the directions for FUNGICURE Liquid Gel? The directions for FUNGICURE Liquid Gel are to apply a thin layer over the affected area twice daily (morning and night), or as directed by a doctor. For athlete’s foot and ring worm, use daily for 4 weeks. If the condition persists longer, consult a doctor. Be sure to read and follow all product package label Directions, Uses and Warnings. I have a fungal infection on my nails. Can I use FUNGICURE Liquid Gel? 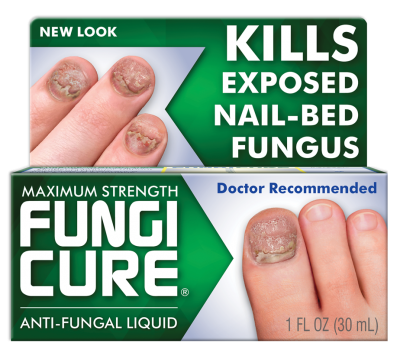 No over-the-counter topical anti-fungal will penetrate hard intact nail surfaces. Fungicure works only when and where its active anti-fungal ingredient can directly reach and come in direct contact with fungal cells, such as on skin around and adjacent to nails, on cuticles, under nail tips (quick), through cracks or breaches in skin or nails, or where skin or tissue under nails is openly exposing fungal cells to treatment. Why does the label for FUNGICURE Liquid Gel say “not effective on scalp or nails”? The active ingredient in FUNGICURE Liquid Gel has been recognized to be safe and effective by an FDA Expert Advisory Panel when used as directed. It works to eliminate fungus infections of the body, hands and feet. This includes infections on the skin around and between fingers and toes, adjacent to nail edges and under the nail tips, where reachable with topical medications. The FDA requires the statement “not effective on the scalp or nails” to appear on all over-the-counter anti-fungal products because the FDA has concluded that “such infections respond poorly to topical therapy, partly because of the depth of the hair roots and the thickness of the nails.” The FDA considers the nails to be a hard surface not penetrable by over-the-counter topical medications. Fungus can infect the entire nail area of the fingers and toes. This includes the surrounding skin, the nail beds and the nail surfaces themselves, commonly referred to as the nail plates. While an intact nail plate, being a hard surface, is not penetrable by over-the-counter topical applications, there are instances where nail plates are not intact and are actually cracked open, breached or partially separated from the nail bed. There are also instances where fungal infections reside on skin around and adjacent to the nail plates, on the cuticles and under the exposed quick of the nail. In these instances where the fungus is exposed, FUNGICURE Liquid Gel, applied as directed, may be able to reach the site of the infection by direct application, eliminating the fungus and allowing for re-growth of healthy tissue. If I have a fungal infection on my fingers and toes, what’s the best way to apply FUNGICURE Liquid Gel? 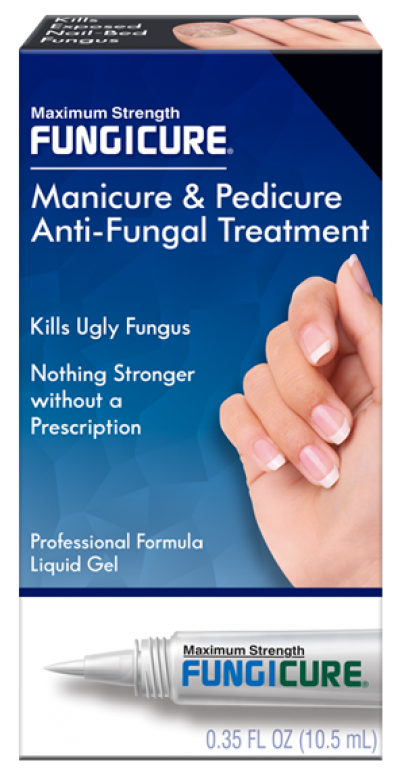 For fungal infections of the finger and toe area, we recommend that you apply FUNGICURE Liquid Gel to all infected areas of the skin, including the skin around and adjacent to the nails, such as in the cuticle area, under the nail tips, and on the skin under the nail in instances where the nail has actually separated from the nail bed and is accessible to the QuickBrush Applicator. How does FUNGICURE Liquid Gel work? FUNGICURE Liquid Gel works by inhibiting the growth and reproduction of fungal cells. FUNGICURE Maximum Strength Liquid Gel contains clotrimazole, a widely recognized anti-fungal ingredient that has been proven to be effective against 6 types of fungi such as E. floccosum, T. mentagrophytes, M. canis, M. gypseum, T. tonsurans and T. rubrum. When applied as directed, FUNGICURE Maximum Strength Liquid Gel acts promptly to target, destroy, and prevent the spread of infection by inhibiting the growth and reproduction of fungal cells.